Mix eggs with sugar well, add the rest of ingredients and pour dough in form, greased with butter. Bake for 15-20 min at 180 degrees. Then carefully cut biscuit in two flat cakes. Mix all and boil till thickness, constantly stirring, not to burn it. 1,5 glass of pumpkin boil in small amount of water. Next, drain remained water and grind pumpkin in blender. Combine pumpkin with cream, add peel from one lemon and one tangerine, and chopped few slices of tangerine, mix all. 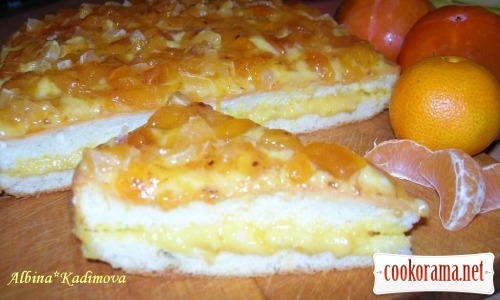 Spread cream on cakes, decorate top with chopped tangerines and peeled persimmon. 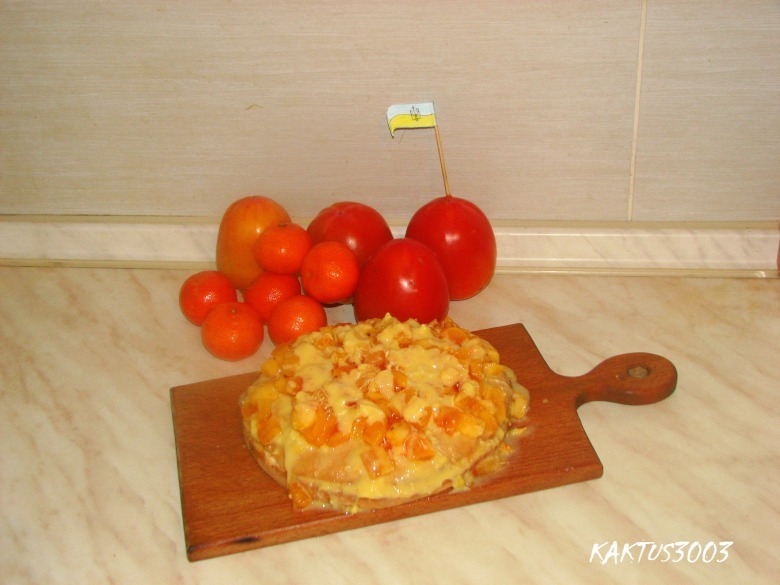 Top of recipe "Pie "Amber""
Интересный крем. Никогда такой не пробовала. он еще и вкусный получился!